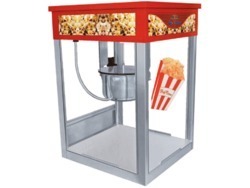 Our range of products include mini pop corn machine, popcorn machine, sugar candy machine, steam coffee machine and coffee vending machine. 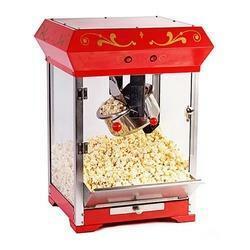 Using the finest grade basic material, we are successfully presenting a broad gamut of Pop Corn Machine in the market. Offered machines are perfectly examined under the control of well trained professionals on various parameters of quality to ensure a better array at clients’ end. These machines are broadly demanded in the market due to their tough construction, flawless finish and trouble free installation. We are offering to clients this product at better prices in the market. High Quality Sugar Candy Machine with S.S top and high power motor , auto heat adjustment. 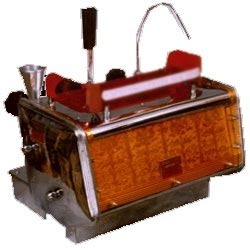 Owing to the dedications of well qualified professionals, we are presenting a best and most perfect quality assortment of Steam Coffee Machine to the customers. These products are produced with the firm assistance of best techniques and by applying quality assured basic inputs. These products are tested by best quality managers to keep it best and flawless at clients end. These are affordable in terms of prices and available in a wide variety of specifications. 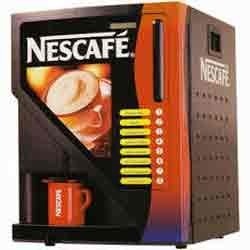 We are providing an extensive array of Coffee Vending Machine for our valuable customers. These machines are fabricated with superb quality material and components to ensure their long lasting performance and unmatched quality. These products are widely demanded and appreciated across the industry for their higher performance and trouble free operation. Apart from this, we are offering these products at leading prices to the customers.